As the Title say wats your Nationality ? 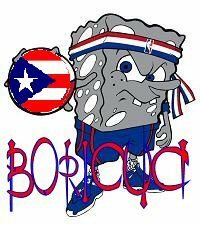 Im Boricua aka Puerto Rican but im Half Spaniard and half Puerto Rican . I'm Korean, South Korean. Don't want anybody to think that I like communists. I doubt you'd be able to post on here if you were in North Korea. Ahh, well since I'm in America some people I know make jokes about my family escaping onto a boat. Just a joke though. Sweet thats cool one of my freinds is from Turkey , but i cant remember wat part hes from but he play soccer and real laid back ,hes cool as hell. I'm Austrian (Austria is a small in the middle of Europa and the South of Germany; Austria =! Australia, unlike many people think ) and my native language is German with a austro-bavarian Dialect. Yea, a lot of people think Austria is Australia. It's pretty damn funny, but not really. I'm Jamaican. No not African American or Cuban Asian, I'm just plane old Jamaican. I'm half German, a quarter Italian, and a quarter Polish as far as I know. I heard that Malaysia was really beautiful. Is that true? sweet i might wanna go there sometime..
Yeah, Malaysia is beautiful. I guess the 'famous for its food' stuff coz we've got multi race (Malay, Indian, Chinese, etc) so there're all kinds of food here... (like my state's famous for its 'nasi kandar'). im already there WoW it a nice place even though im on a website but it does look cool. Also the food thing was something a chef at my school said , he alway traveling the world . Soon enough i will to ^_^ by the way did you see the bunny I mage in MY lounge ? How in the world could you already be there? Aren't you in school? Just kidding the thoughim, made me skip over part of your post. Sorry.